Minimum 3 night booking required for IronMan Triathlon, Easter weekend, Christmas and New Year dates. Inform us of your request to book, we will then e-mail invoice to you for deposit payment. To secure bookings we require a 50% deposit upon booking, this confirms the booking, balance of payment is due in cash on day of arrival. By credit card or EFT. Credit card payment via secure Paybridge. Balance of payment is due in cash on day of ‘check in’. EFT if large amount owing. Please note that there is no credit card facility on site for balance of payment. We regret no cheques are accepted. If a cash deposit is made, please add R40-00 per R1000-00 or part thereof, to cover cash deposit fee. Cancellation 3 days before arrival, on day of arrival or during stay – full booking amount is payable. Cancellation 7 days prior to arrival, forfeit 75% of deposit. Cancellation 8-14 days prior to arrival, forfeit 50% of deposit. Cancellation 30 days and longer prior to arrival, forfeit 15% of deposit. Please note: If a booking is cancelled and payment needs to be reversed, guest will be charged reversal fees incurred by us. 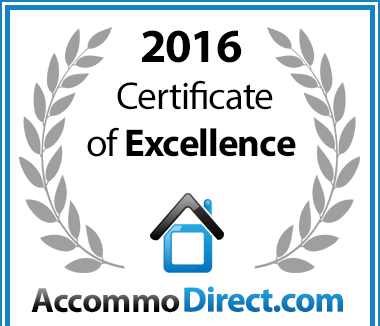 We deem you to have accepted our Booking Procedure, Deposit and Cancellation Policies once we receive your deposit. We are proud to advertise that one of our family rooms is wheelchair friendly; an accessible ramp leads to the spacious en suite room; ‘wet floor’ shower with correct grab bars. Dempsey’s was assessed by Disabled Travel and added to their data base. Access to the house via a wooden ramp from the tarred parking area. Adequate space in bathroom for manoeuvring of wheelchair. Adequate space next to the toilet for side-ways transfer. Measurement from wall to front of toilet is 720 mm and height of toilet seat is 470 mm. Height of wall and cistern grab rails is 800 mm. Measurement from toilet centre line to wall is 650 mm. Roll-in shower with a hand shower attachment and lever tap. The height of the shower bench is adjustable and backrest and grab rail can be moved to other side of the bench. Width of shower entrance is 1300 mm. Leg space of 700 mm underneath the basin with a lever tap. Height of top of basin is 830 mm. Small shelf available. Mirror within reach. Adequate space in bedroom with access to cupboards and lowered hang rail. Height of beds is 580 mm and 630 mm. Kitchen surfaces and appliances are within reach. Access available to the lounge, dining room and wooden deck/patio.